serve with audio editing, digital sound, distribution and management. managers, project coordinators and funders. decided to make the entire process served up on a silver platter. Fast Forward to 10 years later. is piling on FAR too quickly. multiply so much as replenish itself. WE NEED MORE PEOPLE. doing post production and editing. paper work to enable me to keep being geeky tech? put into getting this ministry underway, will die. raise up someone to go in your stead? we need to do good work, quickly. village experience a complete revival at the idea of recording Luke! This is a Megavoice player. 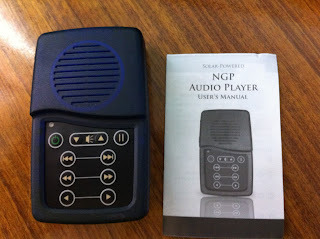 It's VERY popular (this and the AudiBible which is better) in the villages because you press PLAY and you hear people speaking in your language and reading the Bible. To get the sound onto the device is a LOT of work. Translate the Bible, fly to the village, hike, setup in a room, read the Bible, edit out noises and re-takes. Mix it all down, and push it out. Minus the actual translation, it takes weeks and thousands of dollars. Once you have a finished .wav file, you have to go through all kinds of programming hoops to get the sound onto the device. THEN you have to distribute it. Programming the first one takes days, the subsequent take about 5 minutes. I'll be doing 30 of these next week. Why not use mp3 players? These devices are specially designed to perform well in village environments. They take multiple voltages to charge, charge via solar or outlet, are strong enough for a tank to run over, and won't to ANYTHING else, which means they won't get re-purposed and play mp3 songs unless WE want them to. An mp3 player is far too fragile and far too versatile to effective get the Bible into people's ears. This is only a small portion of what I'm doing in the digital media department now. Stay tuned for more. 2 Corinthians has 13 chapters, and 13 verses in the 13th chapter. AND.. that 13th verse mentions the Holy Ghost..
glad no one remembers around here. Wow, I dunno if it's fair to have 2 really good days in a row like this. configured. Hello 5TB of media storage! that's been plaguing the community for a month. I got a nice email complimenting my work in audio-recording. him, he's an accomplished guy). I'm loving this level of productivity! what they were meant to do. What is the Jesus Film? 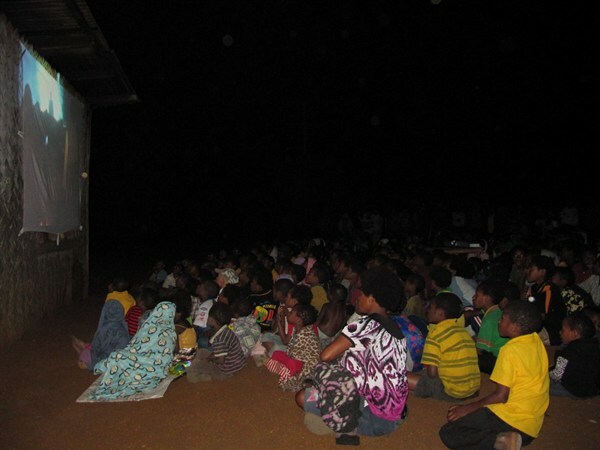 It is an old but good film depicting the life of Jesus. Dubbing it requires months of work. First you assemble a team of actors. (Men and women who can speak the heart language of the intended audience) Then you fit the script to match the time for decent lip sync. Then you go to the village and setup a clean sound environment and begin the recording (usually a few weeks of work). Then you edit it all, clean up the sound, sync it a bit and master a DVD. Then you send the DVD to the copyrighters for permission to use, when they approve, you can distribute and show the DVD. Me and the translator's team. There are a few of us here who can do the work, and it takes a LOT of planning to make it successful. You wouldn't believe all the 'behind the scenes' stuff that goes on. In the end, you show it, and you have something like this. 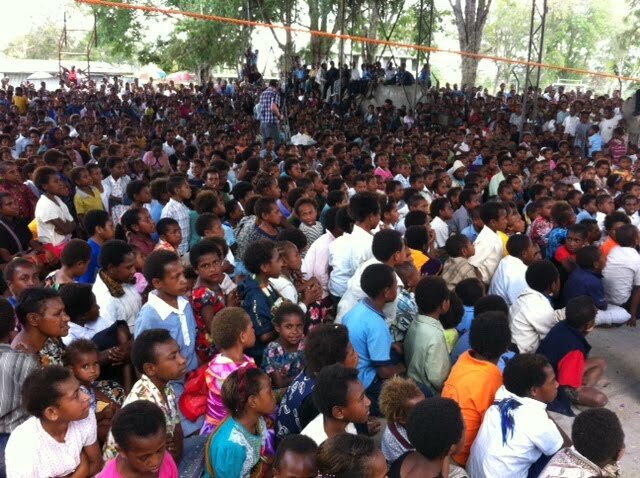 Where over 600 people sat outside to watch Jesus speak in their language. It is an emotional, and life changing event. In January I have the opportunity to travel to a remote village for 3 weeks to do a dubbing of the LUKE video (which is like the Jesus Film only longer, with multiple 'episodes'). It will be my first village dubbing, and it will mean being away from my family for 3 weeks. But when you weigh that against seeing people changed.... it's a no brainer. I'm told that in this next village I'm heading to, the idea of being part of the film has boosted literacy such that now 17 men who couldn't read before, can now read well enough to read the script to do the dubbing. now THAT is motivation! Okay, so, Luke has 24 chapters. Each chapter has to be RECORDED, which is at LEAST an hour per chapter. Luke. And I'm working with others to do 4 - 6 languages. So we're currently not eating beef, or making any long trips. This weekend we cleaned our tank, but I also invented and installed a water meter. I had this idea cooking around in my head. We have 3 water tanks to our house, so we've never run out of water, but it hasn't rained in weeks and I took a risk cleaning a tank, because it meant losing some water. Since I'm on the volunteer fire team, I was able to use some of our water equipment to pump and store our good water into one of our three tanks. This tank is our main tank. (Technically we have 4 if you count the gravity feed hot water tank on the roof). 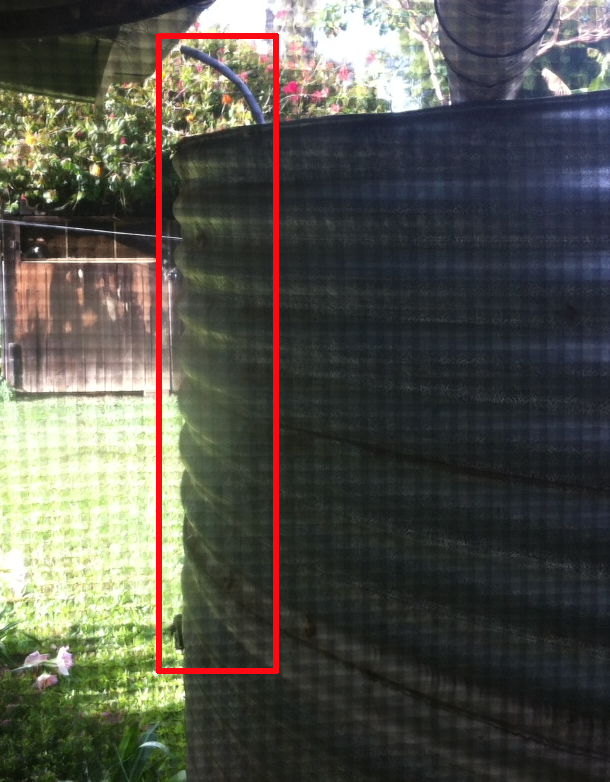 Sparing you the details, they're all rain water tanks, and they are positioned in multiple areas to store rain water. They equalize to each other's levels. The tank we cleaned takes the brunt of the dirt from the roof (put there by passing vehicles on the dirt road stirring up dust). Then the water distributes evenly to the other tanks. Our best tank is our new (3 years old) tuffa tank because it's not metal and doesn't have rust. BUT, we have no way of knowing our water level, nor how much we use in a day or a week, unless we go out and tap the metal tank to see/hear/feel where the water is. Now we do. I'm rather proud of this invention, I came up with it when looking at the 'pay' water meters which gave you a REVERSE level. The indicator on the side of the tank would RISE when your water lowered. Drill a small hole in the top of the tank, put your old pvc pipe in there,if your hole isn't tight enough use the hose clamp to keep it from slipping in, Tie the fishing line to the empty coke bottle, this is your float. Drop it in the water. Run the other end through the handle of your old coffee mug. This is your pulley, drop the mug slowly into the water. It shouldn't move much once it settles. Run the other end up through the tubing and over the side. Eyeball your water level, and tie pull the tension in the fishing line taut. Then tie the fishing line to the weights right at the water level. The weights will rise with your water level and sink with your water level. So far, so good, the mug hasn't moved, the line hasn't twisted. And now we know that after 2 days of no rain, our tank levels collectively go down about 3 inches. The best part about this indicator is we can view it from our kitchen window. I'm a simple man, being able to device simple things that are helpful and work, make me happy. lately we've had a bit of a rat infestation. We hear them running around in the attic, probably hunting for geckos. We like geckos, they eat mosquitos. We don't like rats. So, we waged war on the rats. Putting up the first trap baited with sweetpotato (aka kaukau) and peanut butter it wasn't ten minutes before I heard the trap close shut. We've disposed of 4 rats in a 20 hour period so far! You may say 'disgusting' but actually we're all in 'hunter' mode and it feels like a pretty good haul. We all slept well last night, not hearing the scuffling sounds of critters up over our heads. our bridge is open, it's been extended about 15 feet, but this is a temporary fix. Still we can get fuel now, and go into town for food! (if we had a car). Please continue to pray that the bridge gets permanently repaired soon. All we need now is rain! Someone poisioned the water hole!!! Our drinking water has been muddy this week forcing us to use a bucket filter. So we decided it was time to clean the tank. My son was very keen to go in. We found a lit of silt on the bottom. I reckon it hasnt been cleaned in a decade. Today's adventure was that I was asked to be a part of the convoy of vehicles meeting at the bridge (which is out) to pick up the returning youth from their off site, week long retreat. I was assigned a Land Cruiser and told to pick up the sound equipment, so that it would be more secure enclosed. It was all very well organized by my friend Geoff. I was give a slip of paper, told what order to drive in, etc. I was prepared for trouble and praying against it. The bridge is out, so it is effectively a dead end loading zone. We were told on Sunday it was quiet, but we hit during rush hour (tons of pedestrians). I was following my buddy driving a 6 wheel ex-army truck for cargo, and man was I impressed when he threaded the needle reversing up to the bridge. 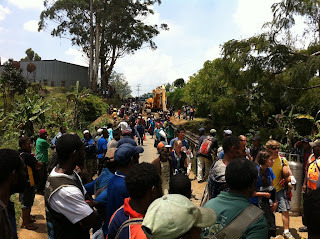 THERE WERE A TON OF PEOPLE all around. So I was trying to filter out OUR gang, equipment, keep the car secure, etc. It wasn't very hard, the high schoolers did most of the loading and unloading. On the other side of the bridge our vehicles were locked up and an undisclosed location. 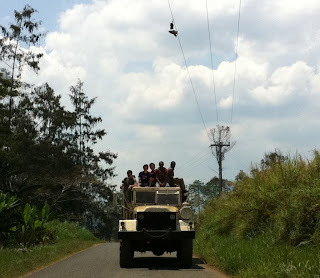 So we transferred students and cargo alike, and though the seats were tight, having a bunch of high school boys wanting to ride on the army truck freed up several of them. I mean who wouldn't want to ride 10 feet off the ground? How did you spend your lunch hour?